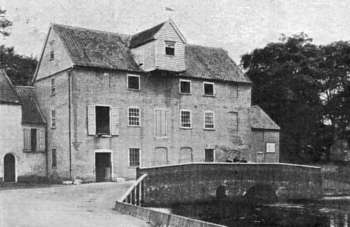 Thetford mill in Watermill Lane was built of Thetford grey brick with weatherboard gables and lucum under a pantiled roof. For many years this was a corn mill but for the last years of its working life the stones were turbine powered and ground coffee. 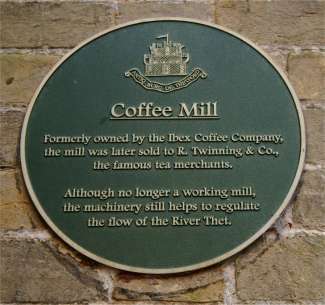 Production ceased in the late 1950s. ...and of two mills the king hath two parts and the earl a third. The king has two parts of a third mill, and of those two parts the earl has third. ...besides this, two burgesses have one mill. And the bishop hath there twenty houses free, one mill, and half a church. In the burgh, Roger hath also thirty-three men under his protection, as his predessor had, on whom he has no other claims but protection, and he has now one mill, which Sturstin, a burgess holds. He claims it as a royal gift, but the hundred knows not how; that mill is worth thirty-two shillings. 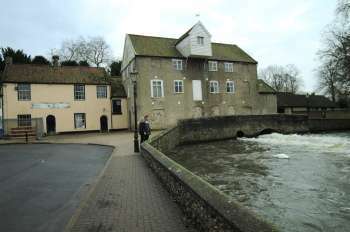 ...and two water mills, value £5. 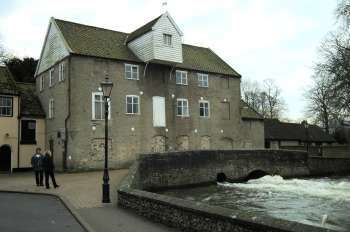 The water-mills let for £2, 10s. per annum, which, according to the value of money at that time compared with the present, would be adequate to something like £85 per annum for each mill, showing that they were of considerable working power and usefulness. 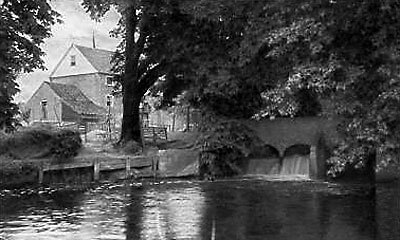 Spanish Close was that piece of meadow ground east of the Paper Mill, enclosed by a wall, and on the south bank of the Little Ouse River. 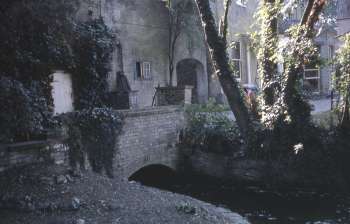 Bellman's Close adjoins St. Audrey's churchyard, near the Paper Mill, St Mary's parish. 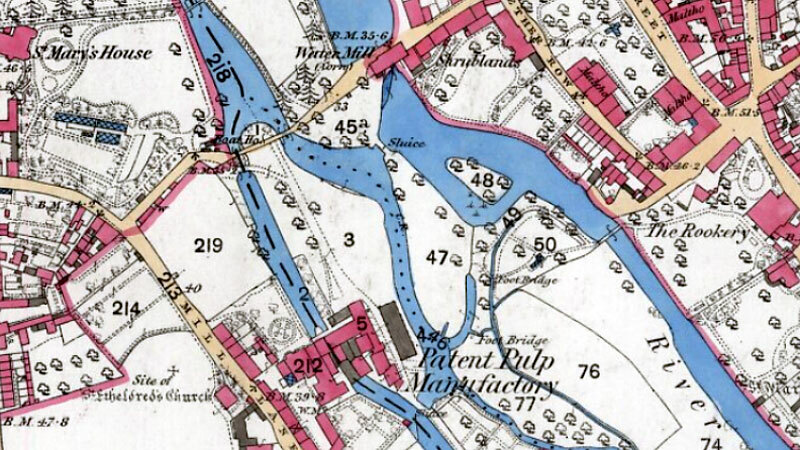 Butler's Common and Lammas Meadow are situated between the two streams, west of the Water Mill of Messrs. Cronshey and Jillings, and north-west of the small bridges. At the Bankruptcy Court of Norwich, on Wednesday, F. R. Rist, of Thetford, Miller appeared for public examination before Mr. Registrar Cooke. The liabilities were stated at £3,369/9/3, and there was a deficiency of £3,001/0/6. Mr. E. Reeve (Messrs. Mills & Reeve) appeared for three debtors. 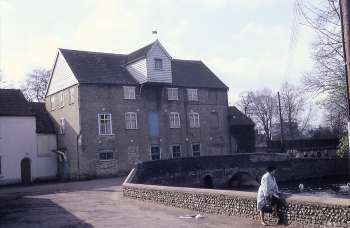 In reply to the Official Receiver, debtor said he was brought up as a miller, and was employed by Mr. Jillings, at the Water mills, Thetford, as manager, receiving, with 2½ per cent, on the profits, a salary of £150 a year. In 1896 he was owing some £56, and had no assets. He agreed with Mr. Jillings that the business should be made over to him, and the tenancy was transferred to him on the same terms as Mr. Jillings held it. No proper valuation was ever made, and debtor, could not remember the terms of the rough valuation of himself and Mr. Jillings, but believed the final price agreed upon was £2,700. He had no idea what the stock or utensils separately amounted to. He thought he gave £500 for the good will and £1,500 for book debts, so that would leave £700 for other assets. Mr. Jillings left £200 over, and Mrs. Jillings lent him £200. 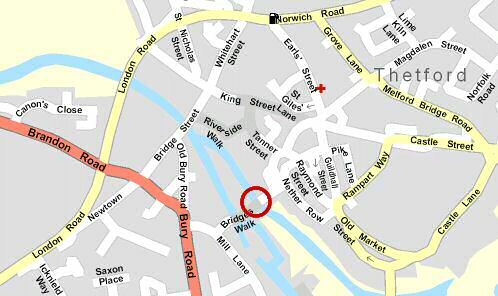 The balance, £2,500, was advanced to him by Messrs. Oakes & Co’s bank, Bury. He obtained an advance of £1,500 from Mr. Scott in consideration of an arrangement of the book debts. Scott was a friend of his, but no relation, and had no other security for this advance than the book debts. Debtor could not say what the debts assigned to Scott had actually realised, but he thought he paid Scott more than he received. Debtor paid a commission of £75 for this loan, and interest at 5 per cent, which was calculated from day to day. In July 1897, another assignment was given by debtor to Scott, the whole of the amounts which he owed Scott being brought into one account of £800. Debtor was closely examined as to why he gave Scott a second assignment of book debts In October 1897, while he was insolvent, in preference to his other creditors; but debtor said that was the arrangement they made when he received his first advance from Scott. - The Official Receiver: Briefly, we may put it thus, - that on October 7th, 1897, when you were insolvent, you gave Mr. Scott, he having no security then for his debt, a deed of assignment of all your debts, including all future debts? Debtor: Yes. – In further examination debtor admitted that he did not tell his creditors he had assigned his debts to Scott; he had no occasion to do so. Had it been known that he had so assigned them, his position on the market might have been affected. He did not tell his creditors at this time that he was insolvent, but he said in general terms that he had lost money. He gave Scott another assignment in December 1898, because he had been served with a writ for £24, and had threatening letters as well, and he knew he was behindhand. As soon as Scott paid him the £1,500 for the book debts he paid it into the bank, the first advance from which included a sum from the book debts. An overdraft of £800 at the bank was then obtained, on guarantee, for the purposes of trading, and this ran up to £1,500, whereupon the bank refused to cash any more cheques. Debtor then applied to his brother. He and his brother were trustees under the will of David Rist, and had £500 trust money which they wanted to invest, and after some correspondence this was lent to him, and he paid it into the bank. He knew well at that time that he was insolvent to the extent of at least £2,500. – The Official Receiver: What was your justification, then, for taking this £500 trust money? Debtor: Because I thought the bank would allow me to draw on it again, but they would not. – Then the only ones who benefited were the bank? Yes, and that is not what I intended. – How soon after you paid this money in did they stop you? At once. – Debtor continued that as soon as the bank stopped honouring his cheques he consulted Mr. Houchen, who was his solicitor, and also bank agent, and told him he would get some-one down to see into his affairs. On 13th January he received payment for the Thetford union accounts, and paid Scott one of the cheques, together with £40 in cash, making a total of £67/14/6. Scott served notices on debtor’s creditors, and as accounts became due to debtor Scott collected them. Since December debtor had lost credit on the market, and his business was cramped. 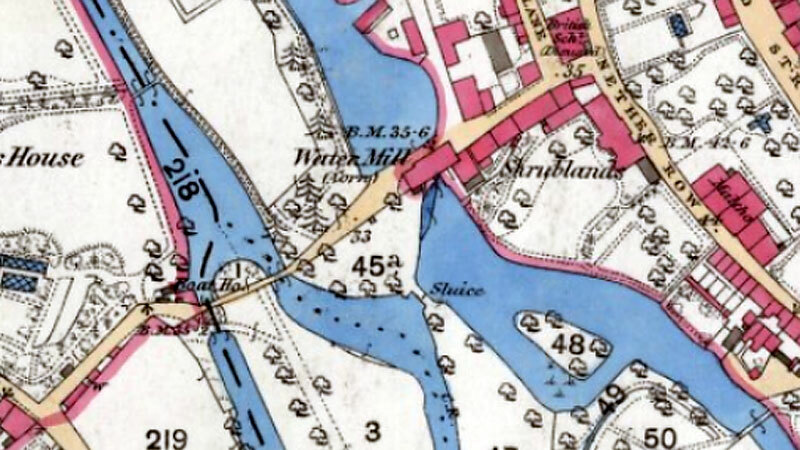 In January he wrote to Mr. Swan asking him to come and audit his books and see what his position was, and Mr. Swan found that he was very heavily insolvent, and that the estate would not realise more than 5/ in the pound. About this time Scott sent out a circular stating that all sums due to debtor were to be paid to him (Scott) under an assignment. Debtor’s creditors came to him about it, and he told them that he would have to call them together. He secured a purchaser of the business in Mr. Mays, who offered sufficient to enable debtor to 4/ in the pound. The creditors, however, refused to accept less than 10/-. On the morning of the day on which they met, he signed a declaration of inability to pay his debts. He had removed a pianoforte, some silver and other things, the property of his wife. He gave Mr. Swan a cob and a gig for looking into his affairs; they were worth about £26 and Mr. Swan took them in settlement for his two days’ work. Debtor reckoned that last year was one of the worst years he had ever had. He paid £1,000 too much for the business, and lost heavily when wheat was high. He had done some betting, and had attended race meetings. 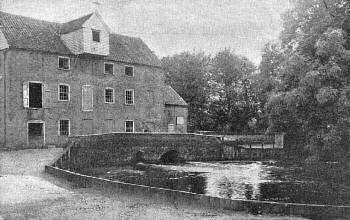 He had used a Mr. Harbon at Thetford as a commission agent, also Mr. Dowson and Mr. King. He lost heavily with King, and lost with Harbon and Dowson. His bank book contained evidences that he had betted, and the telegrams from Mr. Dowson (produced) were communications with respect to bets. He had not kept proper books of accounts. – Mr. Reeve, in examination, elicited that the trustees who advanced debtor the £500 of trust money were represented by Mr. Josselyn, of Ipswich, and the consent of all the beneficiaries was obtained. He called Mr. Swan in, not for the purpose of stopping the business, but to ascertain whether it could be carried on. – The examination was adjourned until 17th May. 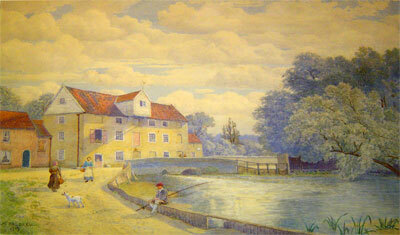 James Mayes & Sons, game & dog food manufacturers, corn merchants & millers (water & steam) Thetford water mills. 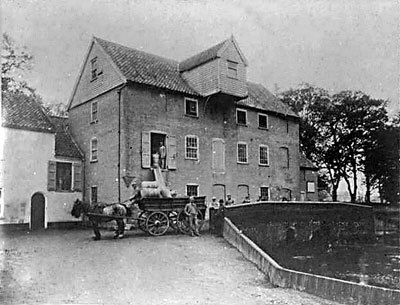 T A "Mayes, Thetford"
Kelly's 1912: James Mayes & Sons, millers (water & steam) Thetford water mills. T A "Mayes, Thetford"
Kelly's 1916: James Mayes & Sons, millers (water & steam) Thetford water mills. T A "Mayes, Thetford"
Kelly's 1922: James Mayes & Sons, millers (water & steam) Thetford water mills. T A "Mayes, Thetford"